Ever heard of the saying ‘why have one colour when you can have three’? Yeah, neither have we - but it’s totes appropriate here. Create your custom shades by mixing any of our LIVE Ultra Brights range together. Power to the purple! 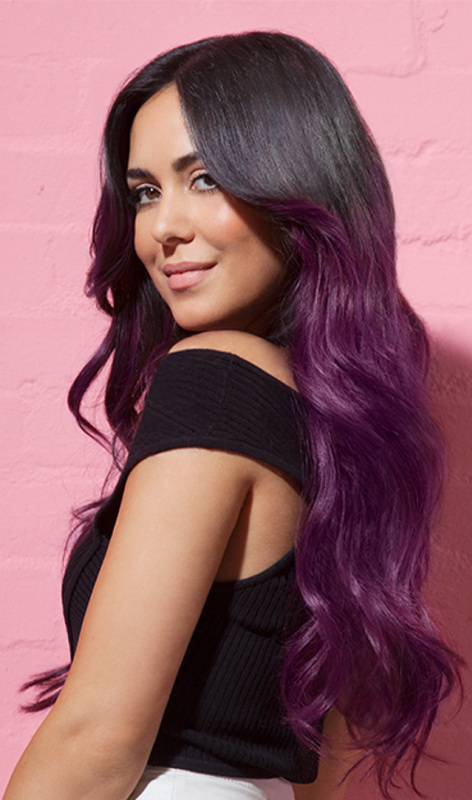 Turn up the vibrancy with our LIVE Purple Punk and you’ll legit be in hairspo heaven. Some call it galaxy hair, we just call it one cool-as combo. Separate your hair into strands and get painting with the colours that are doing it for your ‘do. Consider your flick on fleek, because this dreamy shade just took our hairspo next level. Hit our LIVE Electric Blue and finish the tips with our LIVE Purple Punk. Winter blues? Tick, tick tick. And whipping that hair doesn’t stop there. Embrace those mermaid vibes using our LIVE Turquoise Temptation semi-permanent shade. Tempted - yes we are. Bright’n’bold is the name of the game with this one. Inject a red-hot burst of colour whenever the drab starts to hit using our LIVE Pillar Box Red. Hello holiday hair prep. Calling all of you that are redhead obsessed (us included). Vibrant locks needn’t be out of bounds to dark tresses, by pre-lightening your locks before colouring with our LIVE Pillar Box Red, intense colour is oh-so achievable. Got hair to share? #LIVEcolour on Insta or post to our FB page for the chance to feature on our website!